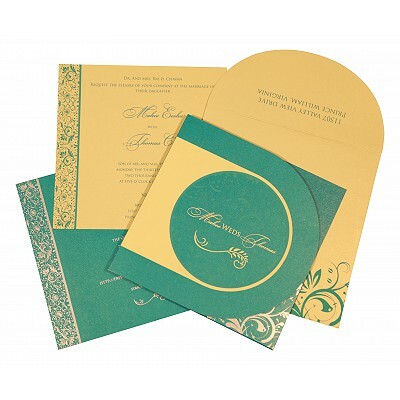 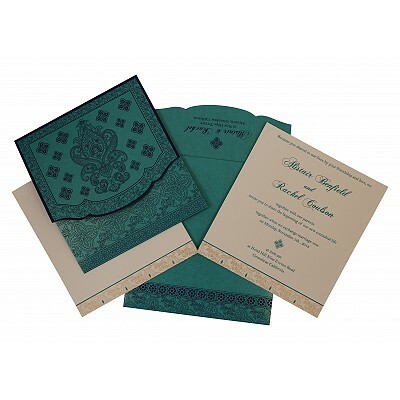 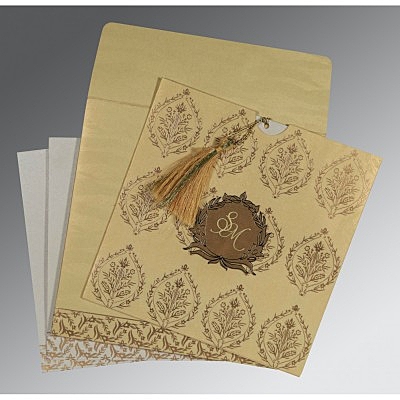 The Indian style of modern wedding invitation is molding on a different track with the growing of time. 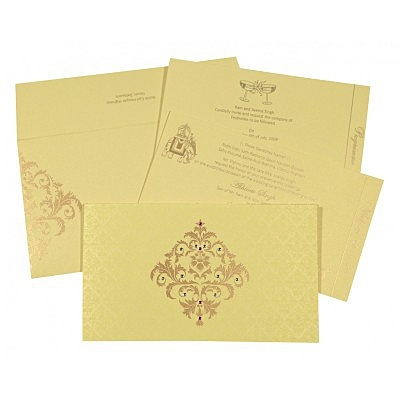 With numerous patterns, motifs, designs and fonts available to us, we bring you the most likable and demanded one in front. 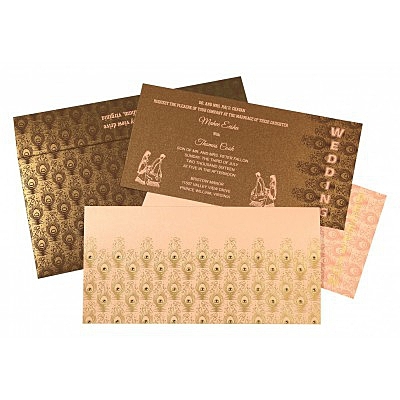 The modern Indian weddings are considered to be the most colourfull wedding out of all the wedding around the world. 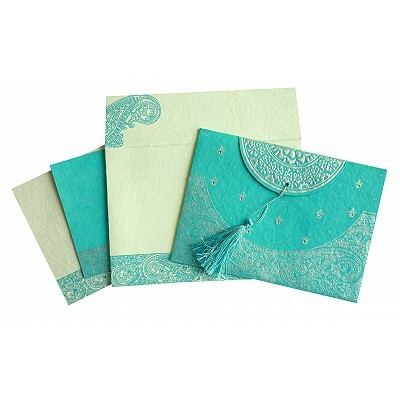 With so many lavishing ceremonies and colorful rituals, the invitation should also be adorable and magnificent. 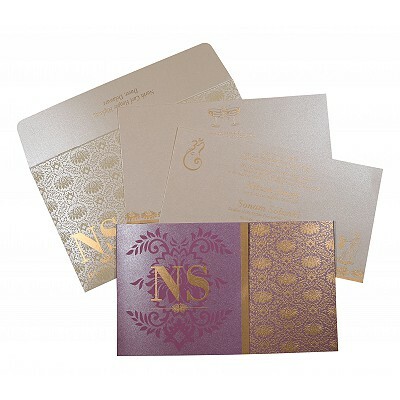 Being an exclusive website, we bring you the modern themed Indian wedding cards with a quick delivery facility, customization, text printing and many more. 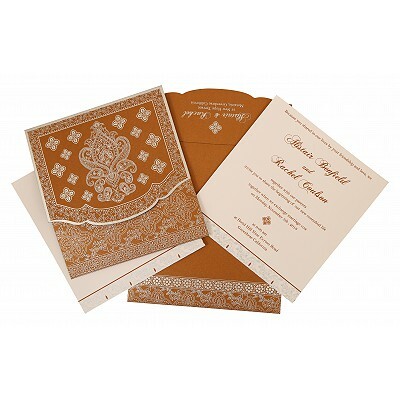 The inexpensive wide range of Modern Indian wedding invitations will give you numerous options of going with the best with an appropriate matching of style and color for your big important day. 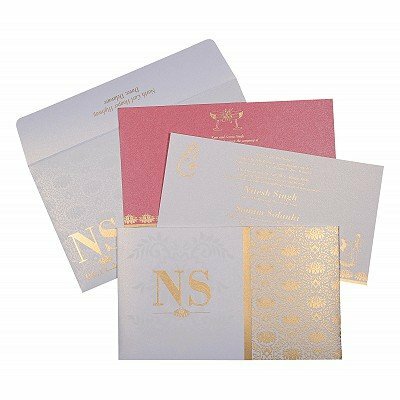 Our Indian weddings are setting a different level with time, from going with theme base cards to extraordinary fonts and designs. 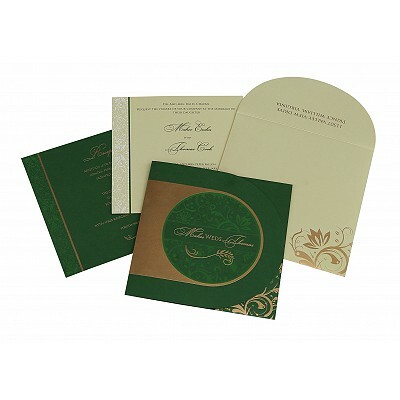 The number of investment people does in an invitation is increasing and upgrading to modernity. 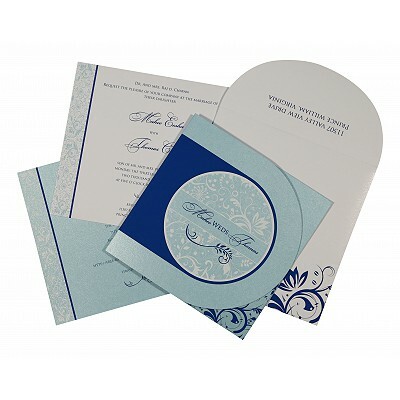 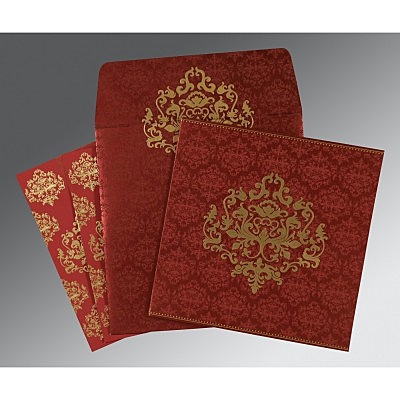 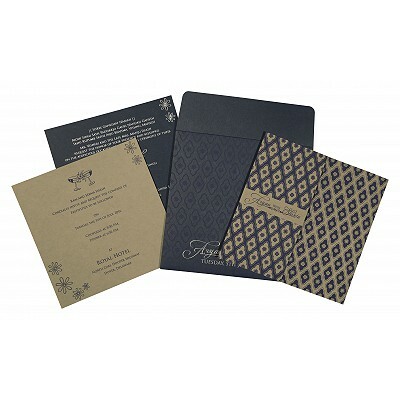 In the world of elegance and sophistication, we, A2zWeddingCards brings you the online wedding stationery card designs website which your guest have never seen before. 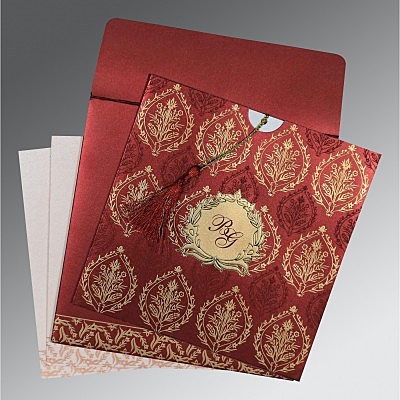 All of our cards are sure to awestruck you with the amount of zeal and love we fill in them. 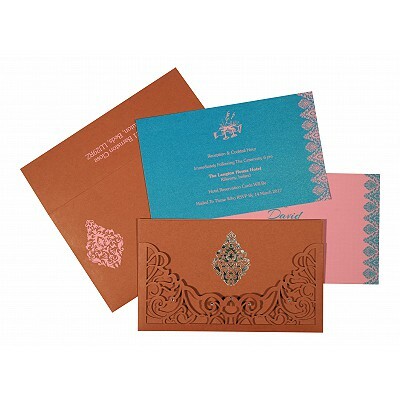 With a wide range of motifs, patterns, designs, fonts available to us, we bring you a huge variety of options that can take your big day to different level. 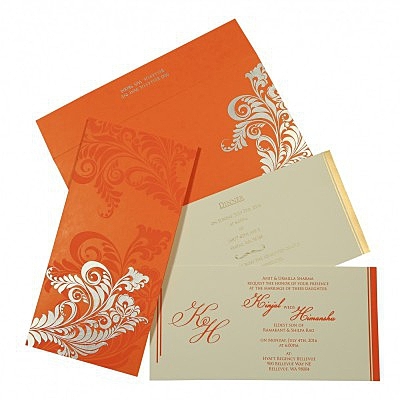 And why it shouldn't be? 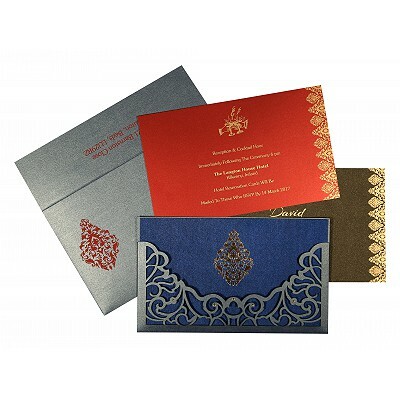 We bring the extraordinary collection of modern Indian wedding invitations which no other website can provide at such affordable pricing.